Transfer from the hotel to the airport for your departure flight**Some flights depart shortly after midnight in the very early morning of Day 17 and will require a transfer on Day 16. Transfers depart the hotel approximately 4 hours prior to flight time. 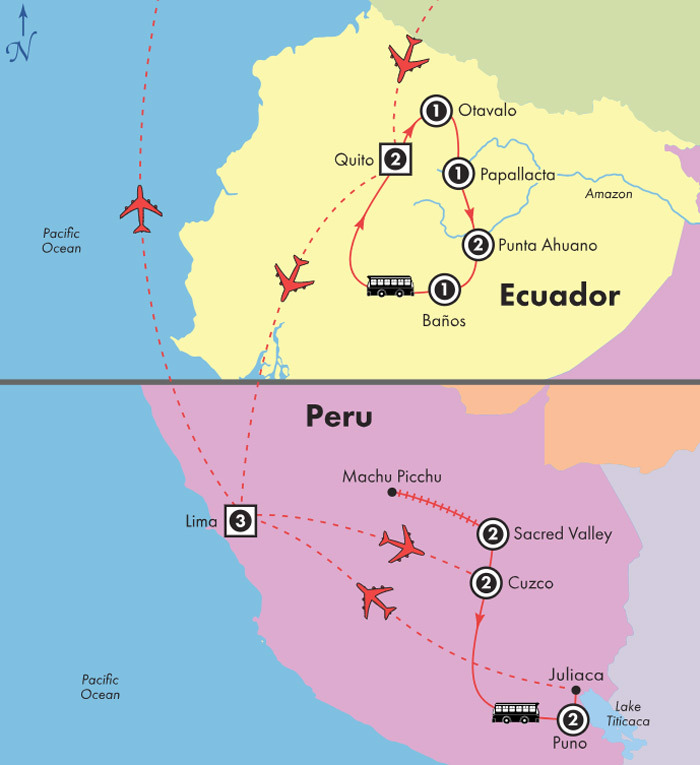 Land only price does not include arrival/departure transfers, but does include flights Quito-Lima, Lima-Cuzco & Juliaca-Lima. Dec 20 departure will be accommodated at Hacienda Leito in Patate.